The 2012/2013 ski season began well with my 3rd summer in a row spent training in New Zealand where I was at my peak of fitness; the training was fantastic. Things continued to go well and I was chosen for the 2nd successive year to be part of the International Ski Federation (FIS) development team where we trained mostly in Italy. FIS is the international governing body of snowsports, including Alpine Skiing and it funds an annual development team in Europe, comprising 15 girls and 15 boys. 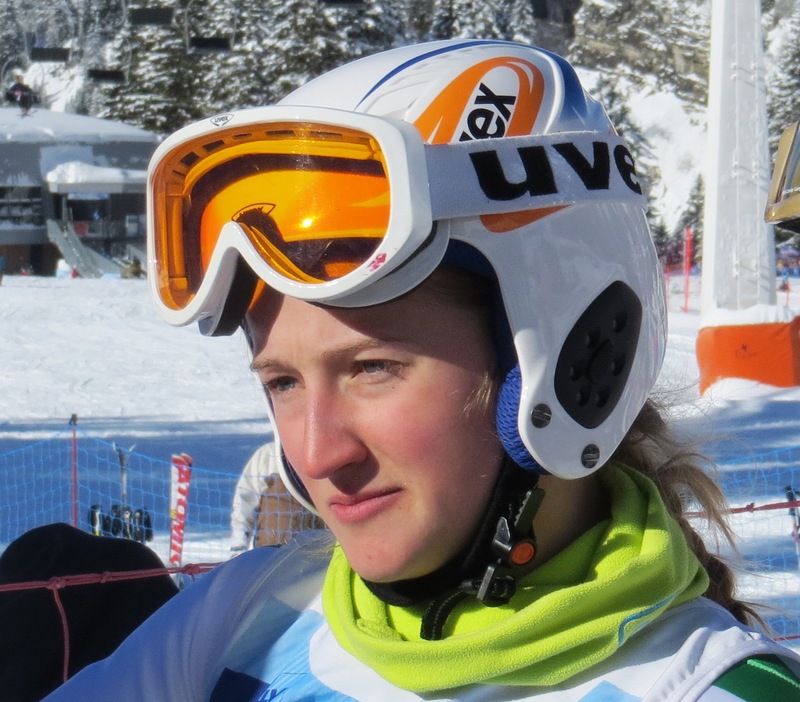 When my time with the FIS Development Team ended, I headed off to Flaine, in France to compete, for the 5th year in a row, at the British Schoolgirls' Races along with my sister, Florence, and Miriam Korsgen. Our school team also came 1st in Giant Slalom and 3rd in Slalom out of all the schools entered including past winners like Strathallen (from Scotland , made up of 3 current and past members of the British Children's and Junior teams) and Surbiton High School (from Surrey, also with British Children's and Junior team members in their A and B teams and the Alma Mater of Britain's number 1 female ski racer, Dancing on Ice star Chemmy Alcott). We also beat the famous specialist sports schools of Reeds and Milfield. Other schools competing included "Ivy League" public schools like St Mary's Ascot, Lady Eleanor Holles and Cheltenham Ladies College. We also won 1st for Overall School and 1st for Overall Club, beating the historic ski clubs of Kandahar and the Downhill Only Club which were founded in the Swiss Alps in the 1920s and are still located there to this day. Individually and as a team, we came away with 6 trophies and 17 medals, 23 prizes in total; a new record for total prizes won by an individual school or team in the competition's 54 years. One of the absolute highlights of the season for me was representing Ireland at the World Alpine Ski Championships in Schladming, Austria. It is the skiing equivalent of the football World Cup and all the best and famous racers compete. Crowds of 30,000 excited spectators fill the finish stadium and watch the early parts of the race on giant screens until the racer comes into view as they approach the finish. I was the only female racer out of a team of 3 representing Ireland and my runs, in Slalom and Giant Slalom, were shown live all across the world. I was a huge, if very fleeting, celebrity on Austrian TV thanks to my spectacular crash in the Giant Slalom. Every competitor was made to feel very special and we were all treated the same; super-famous local girl Elisabeth Goergl got the same treatment as me as cameras followed us all the way down the mountain on over-head cables and cranes, into the finish area, covering all sorts of angles and, in my case, screening my fall, LIVE for my terrified family (and the rest of the spectators) to watch! I was interviewed live on Austrian TV and was asked for my autograph on many occasions! The atmosphere was absolutely electric and it was an amazing experience for me. During the 2012/2013 season, from July to May, I trained and raced in New Zealand, Italy, Austria, France, Serbia, Switzerland and Japan. I had just a small amount of time off in November owing to a broken foot and at which time I went to school. And now, my season has been topped-off by the fantastic news that I have been awarded an Olympic Scholarship! This has been given by the International Olympic Committee, based in Lausanne, Switzerland to a small number of young athletes who they believe have the potential to be chosen by their Country to compete at the Olympic Games. In my case, I will receive substantial funding towards equipment, travel, coaching and anything else that helps me to train and perform better, for a total of 15 months, back-dated to November 2012 and leading up to the next Winter Olympic Games in Sochi, Russia, in February 2014. I have worked very hard to improve my performance over the last year and, to receive this award from the International Olympic Committee, is a very big psychological boost as I spend the next 7 months working towards Olympic selection.